HP Elite X3 smartphone expected to launch in June for $599! There aren’t many Windows 10 Mobile devices being released and with market share below 2 percent, we may never see strong manufacturer support. However, this is not stopping HP from pumping out some more devices itself. 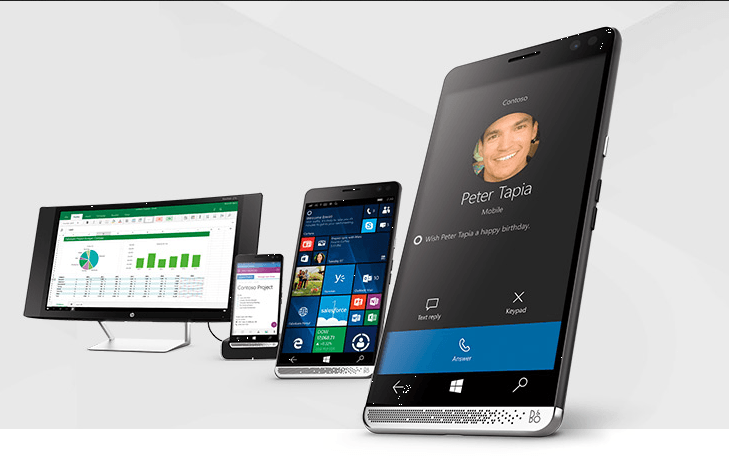 One of their newest, the HP Elite X3, is quite the powerful offering. From our end, it is probably the most powerful Windows 10 Mobile smartphone so fans will have something to go crazy over outside of what Microsoft is offering. One of the great things about the HP Elite X3 is the fact that it has been designed with Continuum in mind. Yes, users will be able to use it in similar ways to a laptop computer. This is, in our minds, the greatest strength of Windows 10 Mobile right now. When does this device ship? HP said the smartphone should ship by summer but T Portal, a Croatian website, is saying they are 90% sure it will ship by June of this year. Furthermore, they believe it will retail for $599, which is not a bad price. Bear in mind, the unit will not come with a laptop dock nor any premium accessories. This bad boy is packing a sweet Qualcomm Snapdragon 820 processor with 4 cores and 5.96-inch display with a 2560×1440 resolution. There’s also a powerful Adreno 530 GPU to keep the games running smoothly as possible. When it comes toe RAM, this thing is rocking 4GB, so powering Continuum among other things should be a breeze. In terms of camera, the HP Elite X3 is rocking a 16MP f/2.0 FHD rear-facing camera and an 8MP FHD front facing and Iris camera. Overall, this is a great looking phone with similarly great specs. We just worry that by time this device is ready, Windows 10 Mobile Redstone might not be ready. The biggest issue with the Lumia 950 and 950 XL, is the fact that the operating system at the time was a huge mess. Hopefully, this doesn’t come to haunt HP because it could be disastrous for Microsoft.